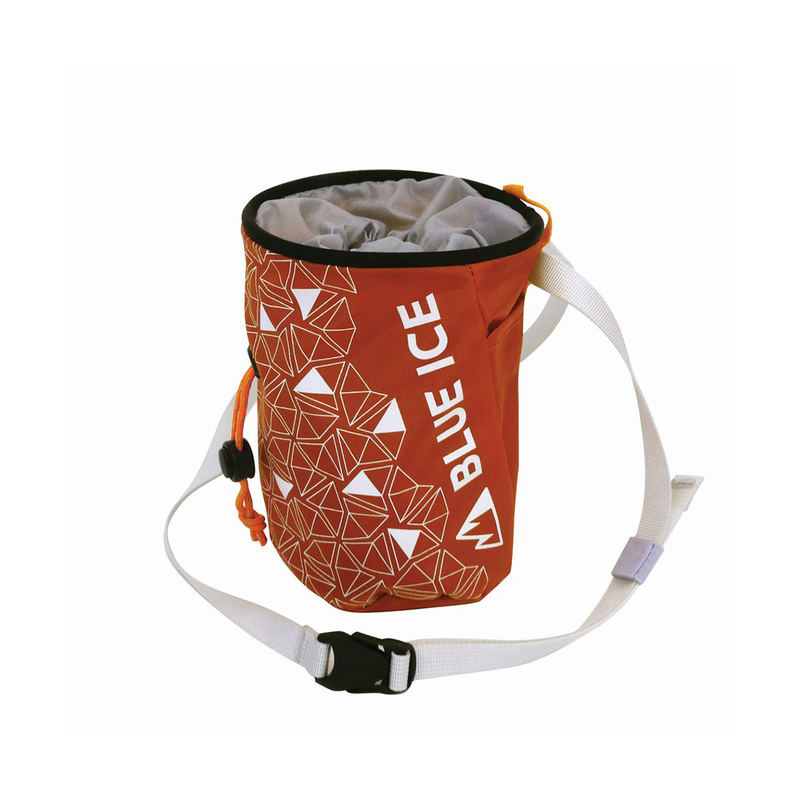 The Blue Ice Poff Chalk Bag's price doesn't really reflect its quality. The fabric is 420D nylon with a 210D rip-stop nylon base and a DWR finish, a highly durable fabric that with added water-resistance makes it perfect for alpine climbing in colder conditions. That being said a soft fleece lining adds comfort, dual brush holders add extra security in case you drop one, and a third pocket can be used to store small valuables, making it highly functional. You can wear the chalk bag with the included belt or attach it to your harness with a carabiner.